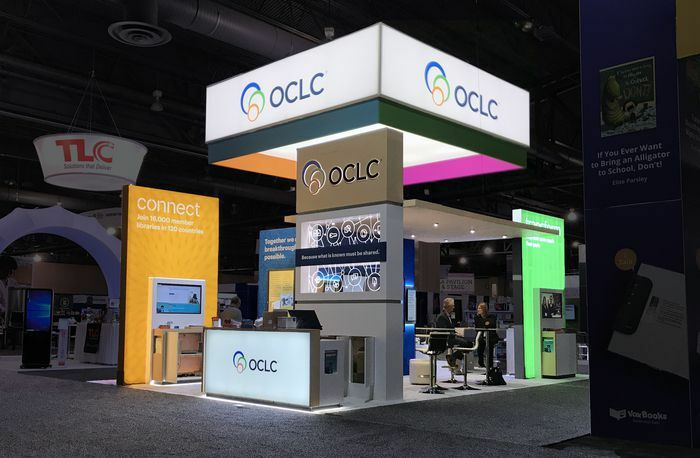 Exhibit design trends strive to engage people on different levels., The demand for visually stunning, interactive designs are transforming trade shows. There are several elements that exhibitors can take advantage of to ensure that they are being remembered on the show floor. These elements range from architectural to color trends, and use of material and technology. Today, let’s discuss exhibit trends every company participating in trade shows needs to know. This year’s big focus won’t go out of style any time soon. For booth visitors, it’s about the total experience – from start to finish. It is not just about a beautiful exhibit – it needs to have purpose and connect with your customer’s emotions and imagination. Bring the essence of your brand in unconventional ways. Instead of your standard logo and monitor playing loops of your products and capabilities, immerse attendees in an experience that’s all your own. For instance, if you are a food and beverage distributor, create cafe style booth that offers free samples from “waitstaff” that also happen to be very knowledgeable about products and carry an “order pad” that doubles as a lead capture form. How’s that for an exhibit that entices attendees and delivers ROI? Our best experiences have become our expectations for many facets of our life and the same holds true for engagement on the trade show floor. Virtual and Augmented Reality: Take a note from the big tech giants and scale for your business. Virtual reality (VR) and augmented reality (AR) blur the two worlds of reality and digital landscapes. Each puts the user into a scene that looks as close to a real-world environment as possible.Therefore, it’s popular among the younger generations while “wow-ing” seasoned industry professionals. VR offers your company a unique way to showcase products, capabilities and services. Artificial Intelligence: AI devices assist booth staff in displaying products. These may come in the form of touch screens featuring chatbots, virtual sales assistants and more. AI is also able to collect data on booth visitors including traffic monitoring, tailored shopping, and exit surveys. We don’t expect AI to replace booth staff any time soon, BUT it is something to consider when designing your next exhibit. Charging Stations: These are nothing new, but if you’ve ever attended a trade show yourself, you know how useful a charging station is. We believe charging stations will continue to entice booth visitors. Engagement Tools: The key is to make sure your attraction methods line up with what your target audience wants. Know the who, why they are there and what they need to come away with at the show. Any marketing designer will tell you how important color is. Consumers, including trade show attendees make snap judgments about what to buy and where to go. Don’t let your exhibit go overlooked because the color scheme isn’t engaging enough for today’s consumer. Let’s talk about exhibit design trends for color. Every person has color preferences based on everything from heritage to culture. The goal is to delight while remaining accessible to the largest possible audience (depending on your company). When designing your next custom exhibit, take the time to work on your color theory to make sure your scheme works. Metallics have been added to the list of neutral colors. For industrial designs (which we’ll discuss more below), metallics are playing a big role in this year’s exhibit trends. Be bright and be bold. We’re especially seeing bright trends in SAAS companies. Without a product to display, software companies rely heavily on eye-catching logos and color schemes. 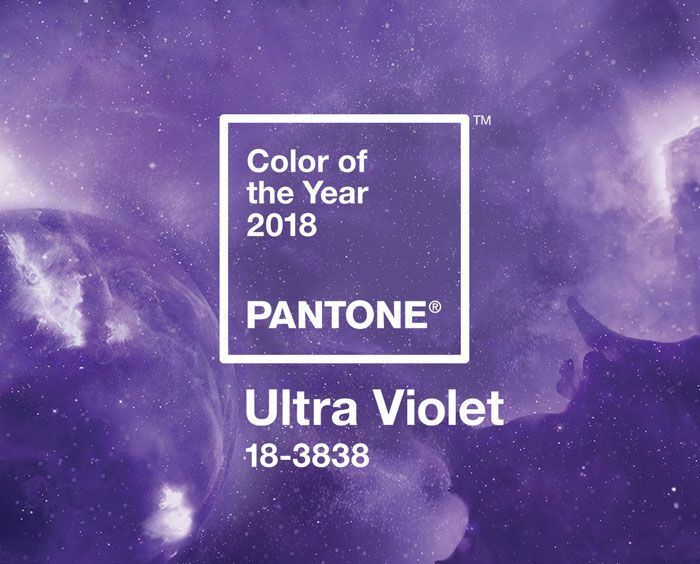 Pantone’s 2018 Color of the Year is Ultra Violet (18-3838). It’s something to note, but it’s also an indicator of the colors consumers are digging in 2018. Minimalism with pastels are in. Less is more with this trend. Colors like mint, sages and pale pinks head up the color lineup with this trend. Color trends come and go, but companies don’t rebrand often. So, whatever you do, make sure you stay on brand. The experience you create for attendees should be undeniably on-brand. Get elemental this year. We’re seeing trends involving geometric shapes, white-on-white graphics, industrial textures such as wood and metal fixtures and more. Instead of the sterile exhibits of the past, consumers want a realistic experience with companies. For instance, if you’re a manufacturer, now’s the time to embrace your behind-the-scenes process. Gritty, industrial designs are welcome, and it might even give attendees a realistic glimpse into your company. Tell your story. “Green” booth design, lightweight design and modular custom pieces are in this year. We’re talking green building on a micro-level. If your company touts any kind of sustainable or eco-friendly processes or initiatives, carry that ethic over into your exhibit design. 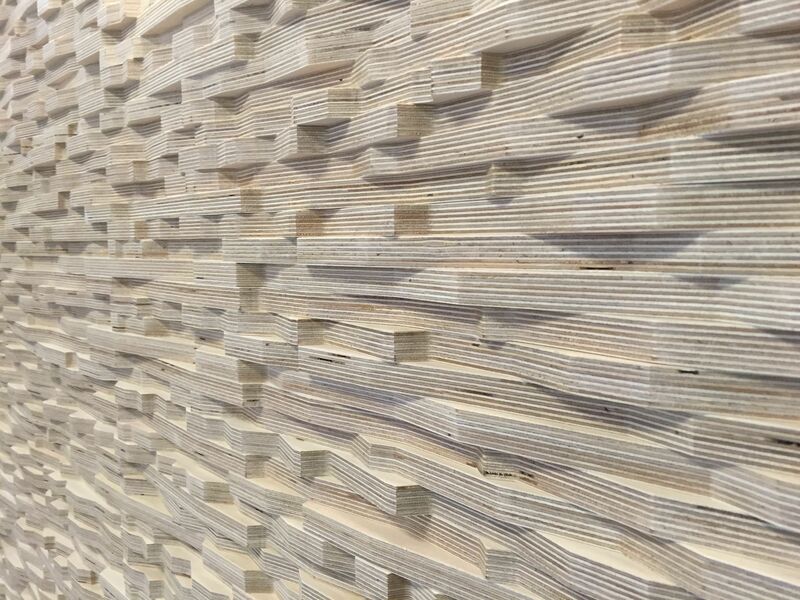 Recycled materials, bamboo, recycled cardboard pop-ups, and reclaimed wood are trending in 2018. Tensioned fabrics easily mount onto frames and is one of the lightest weight materials you can find. Fabric can be custom printed to display your logo and other patterns. Tensioned fabrics are lightweight and easy to travel with. Fabric is also easily backlit to create a mood that helps your company stand out from exhibit hall surroundings. Projection mapping utilizes LED lights to create 3D displays. You can use this tech to show off your logo, 3D product images and more. The images may be projected onto glass, fabric, carpet and even brick walls. Instead of signage, projecting technologies allow you to change your marketing from trade show to trade show. 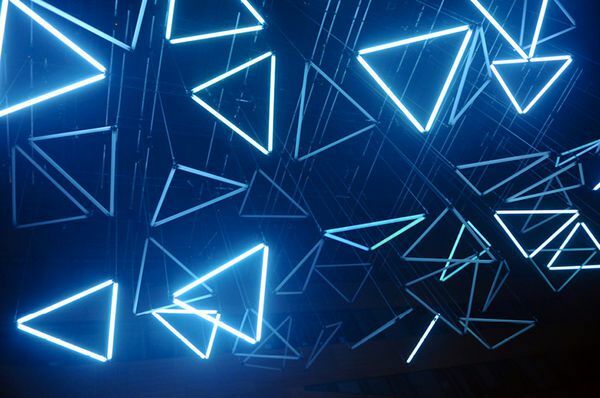 Kinetic lighting turns LED lights into pixels in order to create amazing visual demonstrations. This lighting tech is used for concerts, fashion shows and is now making its way into the exhibit space. For companies with a high-tech aesthetic, this is a fool-proof way to draw in more attendees. Take full advantage of today’s trends to leverage the most current technologies. You can be an industry leader by creating a custom exhibit design that builds your brand, engages your target audience, and leaves an impression that leads to sales. Most importantly make sure your strategies are purposeful. If you decide to utilize these trends, it is critical that they serve to accomplish your show objectives of continuing to build your brand and show ROI.